eDataIndia is a premier IT/BPO & offshore outsourcing company in Delhi, providing data entry, ecommerce management, image editing, back office, accounting, web design and SEO services at very reasonable rates. Data Entry: We provide cost effective data entry services in a very transparent manner. 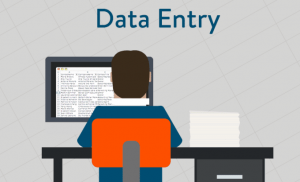 Our data entry services include product data entry, textual data entry, data conversion and more. Image Editing: We provide quality image editing, cutouts, masking, and other image processing services at affordable prices. Back Office: We offer complete back office services to banking and investment firms, online stores and small business owners. Accounting Service: We offer accounting outsourcing services to our client and our accounting outsourcing services include accounts receivable, accounts payable, general ledger maintenance, bank reconciliation, inventory reconciliation, and payroll processing services.